• SpinzWin Casino Review - A Good Solid Choice? Spinzwin was opened in 2017 and markets itself as ‘the premium destination for online and mobile casino games in the UK.’ With more than 400 ‘hand-picked’ games on offer Spinzwin Casino promises to keep its players energised and entertained. 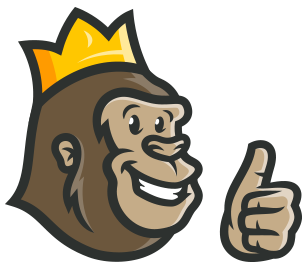 The Casino Gorilla was impressed by this site’s commitment to secure gaming and with the number of promotions on offer to both new and existing players. 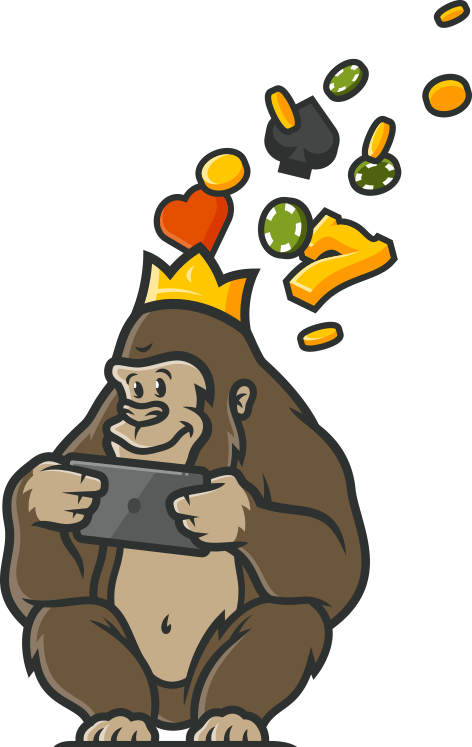 However, the big hairy reviewer knows that first impressions cannot always be relied upon, so keep reading to find out what he discovered when he looked beneath the surface of this bright and breezy online casino. Spinzwin are keen to highlight their promotional offers, so the Casino Gorilla wanted to tackle their welcome bonus first off and see if it lives up to expectations. The offer here is nothing exceptional, being a 100% matching bonus of between £10 and £200 depending on your initial deposit. With a wagering requirement of 50 times the bonus it is a perfectly fair offer, if not one to get the pulses racing. The fact that winnings are capped at 5 times the bonus amount is definitely a negative point, but apart from that there is not too much to complain about here. A fair offer, just nothing that is going to stand out from the crowd. An undisclosed number of free spins comes with your welcome bonus to Spinzwin Casino. Free spins are always welcome, so that’s always a good thing. Unfortunately, winnings from your free spin offer are capped at a rather miserly £20, so you are not going to be making any life-changing wins from these. Luckily, there are plenty of other promotional offers to choose from at Spinzwin Casino. Check out the Promotions page to find other ways to earn free spins, and bear in mind that any winnings will have to be wagered 50 times before they can be withdrawn – just like with the bonus funds. Some bonus offers require you to enter a code in order to be able to claim the offer. This is not the case with SpinzWin, where you simply need to make a qualifying deposit of at least £10 and the welcome bonus will be credited to your account. The promotions at SpinzWin simply ask that you tick a box to opt in to any promotions rather than having you enter a code. With more than 40 live dealer tables to choose from, the Casino Gorilla was happy enough with the selection available at SpinzWin. Turns out that this place is about more than just slot gaming, which is a good thing. Most of the live games are variations on one of the big three: Roulette, Blackjack and Baccarat. The variations come in the form of extra features and rules as well as different stake levels to suit all bankroll sizes. Apart from these games, you can also find tables offering 3 Card Poker, Casino Hold ‘Em and Dragon Tiger. Not exactly a full complement of games but enough to offer at least some variation. As you would expect from a modern casino, SpinzWin has been completely adapted for mobile gaming. The size of the screen you play on won’t affect your enjoyment of the games available here. Android and iOS users will feel equally at home when playing on smart phones or tablets. It is not necessary to download any app which can take up storage space on your device, just access the casino as you would from a desktop device and start playing for real money. Ask a casino player what kind of issue is most likely to cause frustration, and it is unnecessary delays and problems when it comes to making deposits and withdrawals. No fees are charged by the casino for deposits or withdrawals. Minimum withdrawal is £2.50 by most methods, although this goes up to £50 if you are taking money out via bank transfer. Withdrawals can take up to three days, just make sure that your account is fully verified before you make your withdrawal, as required by the casino’s licence. SpinzWin Casino holds licences from both the UK and Malta regulators, two of the best and most trustworthy in the business. Holding these valuable licences keeps the casino on its toes as the risk of losing them could be catastrophic for their business. That’s why when you see these licences attached to an online casino you can be confident that you are in safe hands. This casino is also signed up with PCI Security, who enforce strict codes of compliance when it comes to making card transactions. The FAQ section at SpinzWin is a pretty comprehensive one, and you will find the answer to many questions there. If you prefer to talk to a representative, then you can do so either via email or live chat. The support team is only available between the hours of 8am and midnight. The support team is also able to impose any restrictions you would like to set on your own account, such as limiting the amount of money you can deposit per month. There are a number of countries listed as restricted territories in the terms and conditions of SpinzWin Casino. These include – but are not limited to – the following: Australia, Belgium, Bulgaria, Croatia, Cyprus, Denmark, France, Greece, Hungary, Italy, Portugal, Romania, Slovenia, Spain, Turkey and the United States of America. The terms also mention ‘additional jurisdictions blocked by the company at its sole discretion’ so if you are unable to access the site then you will not be permitted to register with them. Spinzwin Casino is operated by the ProgressPlay Ltd Group, who are behind a total of more than 50 online casinos including names like AceLucky Casino and Silver Fox. With that kind of experience behind them, you would expect this to be a professionally operated and well-organised casino, and you would not be disappointed in that regard. The welcome bonus is simple if unspectacular, but at least there are plenty of other promotions which are regularly updated. This is a good, solid mid-range casino which makes a good option for mobile players. Nothing amazing, but not much to find fault with either.